This issue is in honor of Pat Kutzner, the founder of the World Hunger Education Service (WHES) 24 years ago and the editor for 20 years of Hunger Notes. This issue is about development education, which was her life’s work, specifically, education about the poorest people in the world, who are hungry. WHES and Hunger Notes are due to Pat, due to the people who have gathered together to support WHES and Hunger Notes, and, last but not least, to the people who are hungry. This issue is dedicated to Pat and is an appreciation of her. 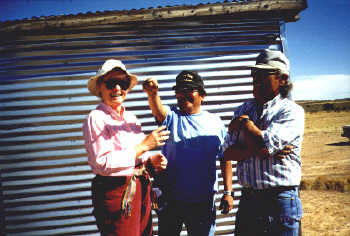 We begin with a note from Antonio Gayoso, who in recent years has become a WHES Board member and Chairman (based on his experience with Pat and her work), but who, in the events described in his note was a United States Agency for International Development official, who met Pat in his official capacity. I met Pat Kutzner in the late 1970s, as the U.S. government prepared to participate in the United Nations Food and Agriculture Organization (FAO) World Conference on Agrarian Reform and Rural Development. She had been invited to be an NGO representative in the U.S. delegation to the Conference. Those were heady days for many of us, as the U.S. Government had become willing to modify its traditional position and endorse agrarian reform, including land tenure changes, as an acceptable option to bring about needed change in the rural sector in developing countries. My role was to coordinate U.S. participation. Pat was very active in the discussions, always ready to contribute real human dimensions to the often-dry discussions and drafting efforts. In many ways, she constantly reminded us in the government that the objective of development assistance was to improve the lot of common people, who were usually powerless and often hungry. During the actual conference in Rome, she kept watch over the way in which the delegation carried out its now positive instructions, and actually published an issue of Hunger Notes noting who did the work and who did the touring of Roman ruins. Her comments had a salutary effect on workloads. Once returned from the conference, Pat intensified her efforts to build coalitions to follow up with deeds the promises made in Rome. She organized a number of Praxis, (action-oriented development seminars) where she successfully attracted the participation of key policy makers and a large number of NGOs working on development and hunger issues. In addition, for more than 20 years, she was the soul and major support of both the World Hunger Education Service (WHES) and of Hunger Notes, its quarterly journal of ideas about hunger in the World. More important than these historical notes, however, is Pat as a person. To say Pat has commitment to development and to the abolition of hunger and injustice does not begin to describe the total dedication she has given to these two objectives, frequently at great personal and financial sacrifice. Pat never seemed to worry about her own welfare while putting these causes ahead. We saw her eating plain bread when others had sandwiches. We knew she frequently did not have train fare to return home and yet she never uttered a word of frustration about it. We knew of the long hours she put in to make sure Hunger Notes would be published and distributed. We understood how she pursued donors, with grace and determination, seeking critical support for the organization. Where others frequently jaded as time passed, Pat always kept the vigor and the idealism of someone eternally young at heart. It is because of these qualities as a human being and as an organizer that Pat has left a sequel of admiration and respect that has become stronger as time has passed. It is because of these qualities that today we express our respect for her and our rededication to the fight for that social justice she has so relentlessly pursued. Jim Levinson, the Director of the International Food and Nutrition Center of Tufts University gives his reflections on Pat. In an age when heroes are hard to come by, Pat Kutzner is one of mine. Heroes, for me, are not often found in the entertainment field (Paul Robeson and Richard Gere are exceptions) or in the sports world (Arthur Ashe was an exception). Rather, my heroes are people whose lives stand for something: good women rather than nice girls; good men rather than nice guys. Pat, like that other wonderful troubadour for justice, Dorothy Day, has always known at a visceral level that it’s always the right time to do right. It’s as simple as that. I feel privileged to know Pat, to have been influenced by her steadfastness and commitment and creativity, and to count her among my friends. God bless you, Pat. Patricia Young, Executive Director of the U.S. Committee for World Food Day, adds her thoughts. It is good that a number of people have been asked to reflect on Pat’s gifts to the work of alleviating hunger and achieving food security for everyone because no one of us could capture her life of service in a paragraph or two. From her unrelenting commitment to public education on the issues, to her ability to make every resource count, to her sensitive ministry when she sees need, her work makes a difference and challenges colleagues. For the past quarter century, Pat Kutzner has worked tirelessly to educate the public, in the United States and globally, about hunger’s causes, consequences, and cures. She has also served as an inspiration and role model of the engaged scholar-activist for a generation of researchers and advocates. It is a pleasure to join Hunger Notes in this much-deserved tribute to its founding editor. 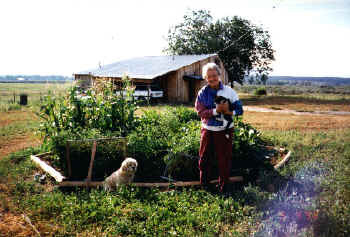 Marc J. Cohen, Hunger Notes Editorial Board Member; Special Assistant to the Director-General, International Food Policy Research Institute, and Editor, Annual Report on the State of World Hunger, Bread for the World Institute, 1991-98. I will mention just three— her reference handbook World Hunger, the value of the World Hunger Education Service, which she founded, and her behind-the-scenes role in the establishment of World Food Day in the United States. World Hunger, published in 1991, provided, in one place, a 50-year overview of hunger issues. More importantly, she included the kind of data we all needed, including a chronology from 1940 to 1989, information about some of the organizations, leaders and publications in the field, as well as definitions and resources. 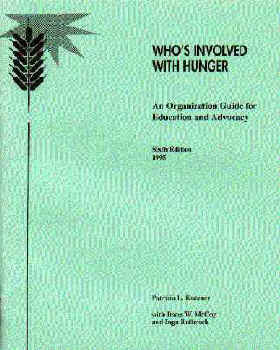 The World Hunger Education Service filled a unique niche, combining training seminars, a research library and regular publications containing current information about events and issues, and most of all, the services of a leader with a breadth of knowledge and experience. NGOs are usually small, under-funded and too often unappreciated by a disinterested public. WHES was all that under Pat, but a growing circle of hunger activists who used her services or learned from her special insights helped extend her outreach and awaken the national conscience. Pat was a light for the end of hunger long before I ever arrived in Washington– I am grateful for her early work and inspiration. Sam Harris Founder of Results and now the executive director of the MicroCredit Summit. Finally, Pat helped launch World Food Day in 1981.She and a few others had faith that this new global observance had the potential to strengthen everyone’s work. They promised their support through advice, counsel and promotion even though they could not offer funding in the beginning. When the first year proved a success, Pat added an annual contribution out of her own shoestring budget and remained a dependable friend of World Food Day in every way until she retired…retired to a new, rich field of service in the Southwest! An aspect of WHES—then as now—that cannot go unmentioned is its low budget. Marty McLaughlin captures the low budget—and Pat’s spirit that pressed on regardless. My most persistent recollection of Pat is of watching her move from office to office in the early days of the World Hunger Education Service. I was, I think, a charter member of the Board while I was a senior fellow at the Overseas Development Council in the late 1970s.Memory is always selective and sometimes a bit tricky; but I think it was Pat’s interest in the UN World Food Conference of 1974 that led her to create WHES shortly thereafter, as a service to persons anxious to learn more and do more about hunger in the world. We all had lots of board meetings and persuaded many of our friends to join the board or its advisory group. Many still have that affiliation. While most of the rest of us were primarily occupied with something else, Pat devoted herself full-time (and then some) to keeping WHES going. There was always a financial crisis; I don’t remember that there was ever a solid budget or that Pat was sure where funding for the next issue would come from. Often the solution was quite unexpected, and even more often it was not repeated. But she had faith, determination, and dedication. WHES was run out of second-floor offices, basements, her own house, and post office boxes. But it has continued to this day. Pat didn’t do it all alone, but most of the credit should go to her. In conclusion, I would like to add my own thoughts as editor of Hunger Notes. Pat and I did not know each other very well before I became editor of Hunger Notes, and though we certainly know each other much better since, it is not on my personal knowledge of Pat that I want to focus. All of us involved in hunger issues owe a debt of gratitude to Pat Kutzner and the organization that she founded, World Hunger Education Service. For more than 20 years, Pat provided information and insight about hunger issues through Hunger Notes, informing people throughout the United States and enabling them to take action. My staff and I worked with Pat on many occasions, not least on “Who’s Involved with Hunger,” her valuable guide to hunger education and advocacy resources, which she has edited and published since 1976. We will miss her dedication and hard work, and wish her well in retirement. It is really rather an appreciation of WHES and Hunger Notes. Most has been covered above. I would like to focus on three key aspects. WHES and Hunger Notes do a lot with a little. With $8,000 a year Hunger Notes publishes 3 issues a year, plus an Internet edition. Total Hunger Notes readership 900—paid and unpaid. Number of people who have or will have signed on to Hunger Notes Online this year—30,000.Approximate hunger information contacts 30,000 +(3×900) = 32,700.This works out to $0.25 for every contact of a person or institution who wants to learn about hunger. While this is not yet great, it is not bad at all. We must remember that we are dealing with a media structure that is not favorable to learning about hunger, financing for hunger education that is completely inadequate, and that WHES will probably at least triple the number of people who have contact with Hunger Notes next year. I would say that WHES and Hunger Notes far surpass in terms of cost effectiveness the usual development education project. People are the real strength of the “hunger movement” and of WHES and HN. It has been a great pleasure for me, as it was for Pat, to know those involved with WHES, and many others involved with hunger issues and to work with them. Archimedes said— give me a place to stand, and I will move the world. He was talking about the principle of leverage/mechanical advantage. With a long enough lever, a place to stand, and a place for the lever, Archimedes—light—could move something heavier— the world. I would thus like to point out as a principal contribution of Pat through her twenty-plus years of service, that we— those who continue WHES and Hunger Notes— have a place to stand. It certainly remains to be seen, as WHES enters the fourth year since Pat’s retirement from WHES, how we can continue to develop and leverage our strength to make a significant contribution toward moving the world in the direction of justice and improved lives of poor people throughout the world. Nonetheless, it is certainly true, in Pat’s life of service to the disenfranchised of the world and to WHES, that she has left us a place to influence— change— the world and what happens in it.